Fuel Mix For those who mix their own fuel. Enter the quantity of either the total volume, oil, nitro or methanol. 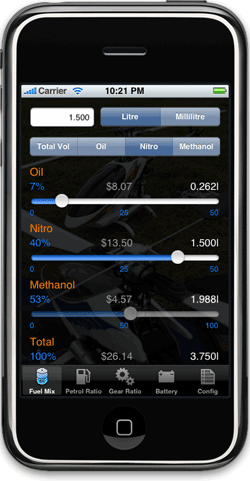 Say what oil and nitro percentage you're running and it'll calculate correct amount of oil, nitro and methanol. 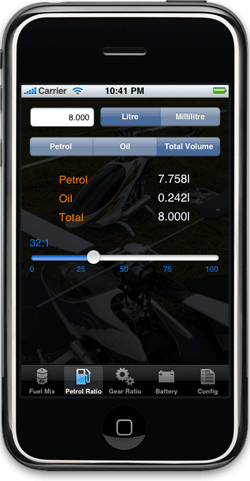 Petrol Oil Ratio Enter the quantity of either the total volume, petrol or oil. Say what ratio you run and it'll calculate correct amount of pertrol and oil. 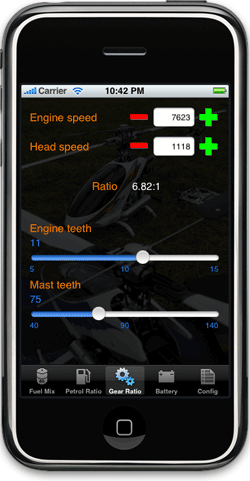 Gear Ratios Enter your engine and mast teeth. Change the engine and/or head speed to see the effect on the other. 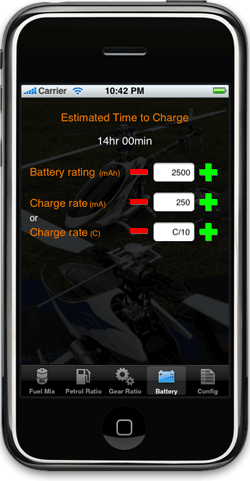 Battery Charge Rate Calculate approximate battery charge rate. 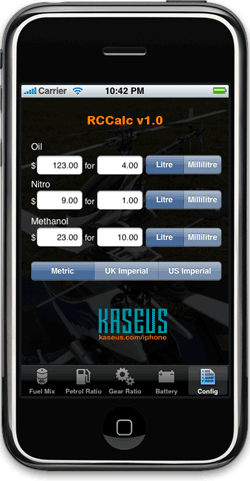 Configuration Enter the prices of fuel and localised volumes (Metric, UK Imperial, US Imperial).